Rotation Vs.Revolution: What Are The Differences? Many people tend to confuse the two terms, but there’s a clear difference between rotation and revolution. While both describe circular movements, those motions are quite distinct, and knowing how to tell them apart can be important – especially in astronomy and physics, for instance. Let’stake a closer look at rotation and revolution and see what they mean exactly. Rotation can be defined as the circular motion of an object around its own axis, or upon itself. When an object rotates, every point of that shape circles the central axis, so there is always the same distance from any point of the object to the center. To better understand the concept, let’s take Earth as an example. Earth makes a full rotation around itself from West to East every 24 hours (approximately), “giving birth” to day and night, as well as to currents, winds and tides. It spins around its own axis, which traverses the planet’s center from the North Pole to the South Pole, perpendicular to the equator. Revolution can be defined as the circular movement of an object around an external axis, or around another body. For instance, we talk about revolution when describing Earth’s movement around the Sun, the moon orbiting the Earth, a car doing laps around a race track, or a bee circling a flower. 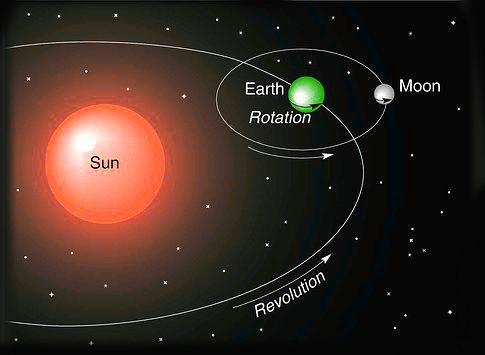 In astronomy, telling the difference between rotation and revolution is highly important, because the two motions have completely different effects on celestial bodies. Taking Earth as an example again, Earth’s orbital revolution around the Sun is what creates the changing of seasons, and it is also the cause of the solstice and equinox. Rotation is the circular movement of a body around its own axis. Revolution is the circular motion of an object around another object, or an axis outside of it. Rotation involves an internal axis. Revolution involves an external axis. Rotation doesn’t involve covering a distance, or moving position from point A to point B. A revolving object does change its position and does cover a distance. Earth’s rotation is what creates the succession of day and night. Earth’s revolution is what creates the different seasons and causes the solstice and equinox. 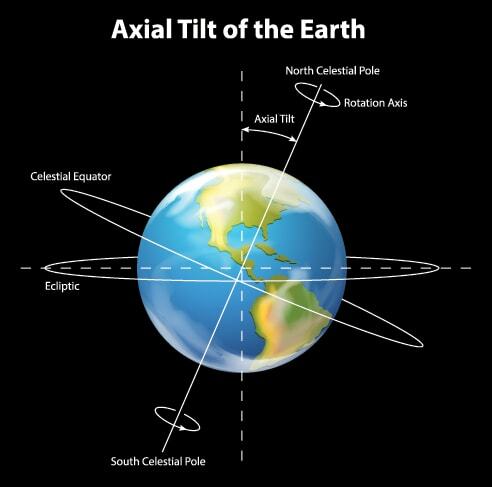 One full rotation of Earth around its axis takes approximately 24 hours to complete. One full revolution of Earth around the Sun takes approximately 365 days to complete. Did you enjoy our explanation of the difference between rotation and revolution? For more interesting topics like this one, subscribe to our newsletter and we’ll send you our best posts about the world around you straight to your inbox. 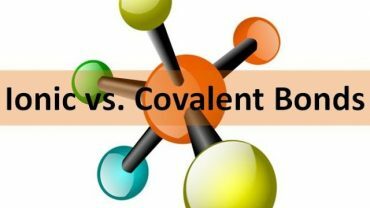 Ionic Vs. Covalent Bond – What Are The Differences? HD Vs. SD Infatuation : What Are The Main Differences? Voltmeter Vs. Multimeter: What Are The Differences?